Studying planets around other stars will be the focus of the new small Science Programme mission, Cheops, ESA announced today. Its launch is expected in 2017. CHEOPS - for CHaracterising ExOPlanets Satellite - will target nearby, bright stars already known to have planets orbiting around them. 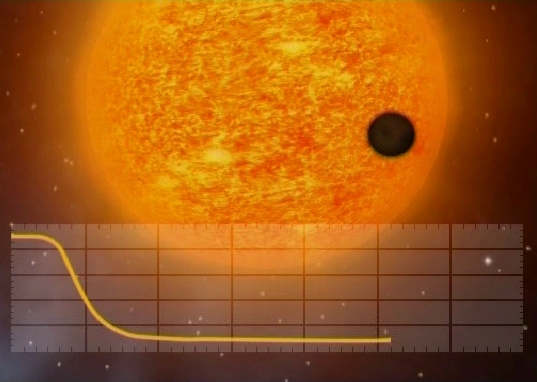 Through high-precision monitoring of the star's brightness, scientists will search for the telltale signs of a 'transit' as a planet passes briefly across its face. In turn, this will allow an accurate measurement of the radius of the planet. For those planets with a known mass, the density will be revealed, providing an indication of the internal structure. These key parameters will help scientists to understand the formation of planets from a few times the mass of the Earth - 'super-Earths' - up to Neptune-sized worlds. It will also identify planets with significant atmospheres and constrain the migration of planets during the formation and evolution of their parent systems. 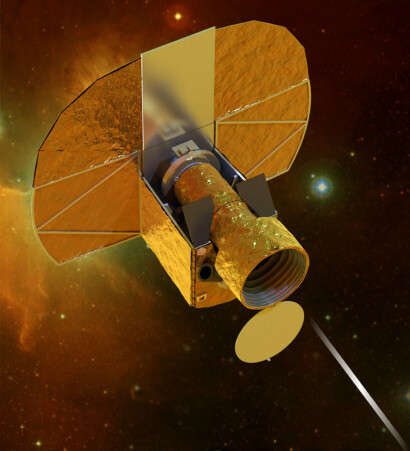 Cheops is the first of a possible new class of small missions to be developed as part of ESA's Science Programme. "By concentrating on specific known exoplanet host stars, Cheops will enable scientists to conduct comparative studies of planets down to the mass of Earth with a precision that simply cannot be achieved from the ground," said Professor Alvaro Giménez-Cañete, ESA Director of Science and Robotic Exploration. "The mission was selected from 26 proposals submitted in response to the Call for Small Missions in March, highlighting the strong interest of the scientific community in dedicated, quick-turnaround missions focusing on key open issues in space science." Possible future small missions in the Science Programme should be low cost and rapidly developed, in order to offer greater flexibility in response to new ideas from the scientific community. With a dedicated science focus, they would provide a natural complement to the broader Medium- and Large-class missions of ESA's Science Programme. Cheops will be implemented as a partnership between ESA and Switzerland, with a number of other ESA Member States delivering substantial contributions. "This continues the 40-year success story of Swiss scientists and industry at the forefront of space science," said Professor Willy Benz, Center for Space and Habitability at the University of Bern. Construction of the space telescope CHEOPS is finished. The engineers from the Center for Space and Habitability (CSH) at the University of Bern will package the instrument this week and send it to Madrid, where it will be integrated on the satellite platform. CHEOPS (CHaracterising ExOPlanet Satellite) is to be ready to launch in early 2019. It will observe how exoplanets in other solar systems pass in front of their host star – and assist in the search of potentially habitable planets. The specially designed transport case is ready and waiting in the building for Exact Sciences of the University of Bern. In the next few days, the CHEOPS team will load the space telescope in the cleanroom into the transport container, where it is well protected against shock, moisture and dirt. A truck will then transport the precious cargo to Madrid. The company "Airbus Defense and Space - Spain" built the satellite platform that supports the telescope and enables it to operate in space. In the upcoming weeks the instrument will be integrated and the satellite will be tested.